I've made these pancakes quite a few times now and also taught the kids how to make them. These pancakes are so easy to throw together and absolutely fun and delightful for children. It's like playing with edible Play-doh. 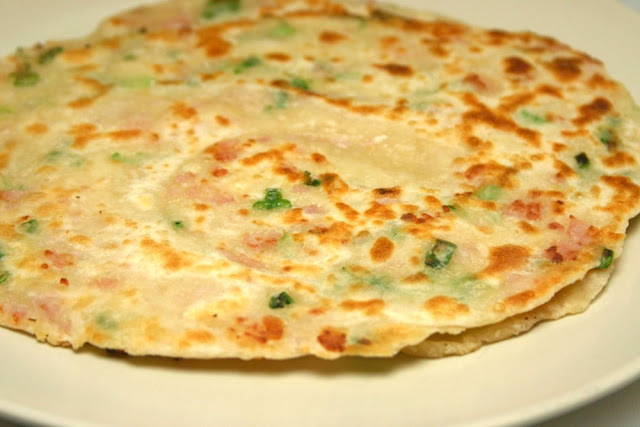 I've got a couple of expert scallion pancake makers in the house now and on some nights, we resemble a little pancake factory. 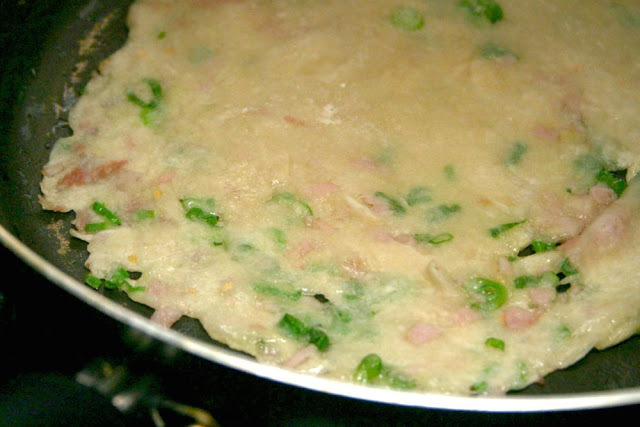 The best part is eating them for breakfast, served with a small bowl of Ponzu dipping sauce or leftover curry gravy. 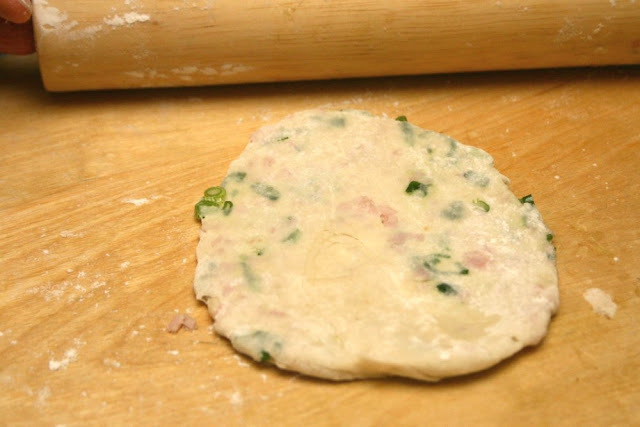 We started off by making them plain with just scallions but got experimental later on and decided to add garlic oil and bits of chopped ham to it. Both versions tasted great! 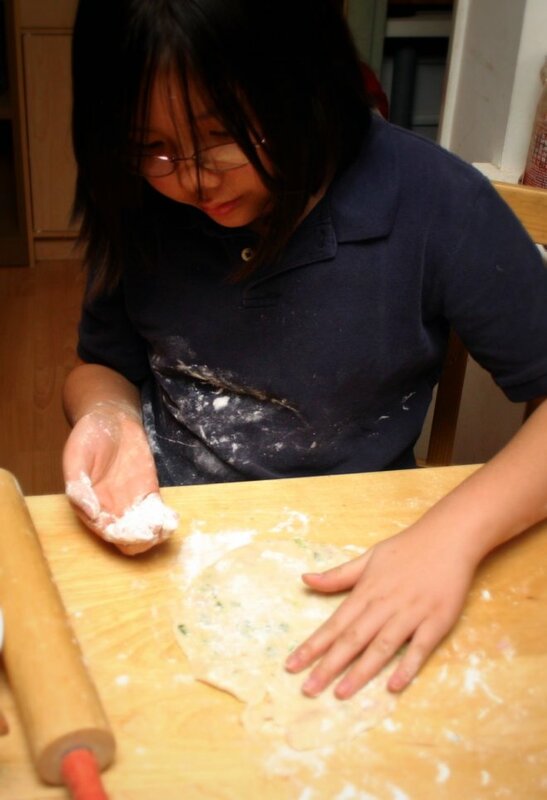 Measure the flour into a mixing bowl. 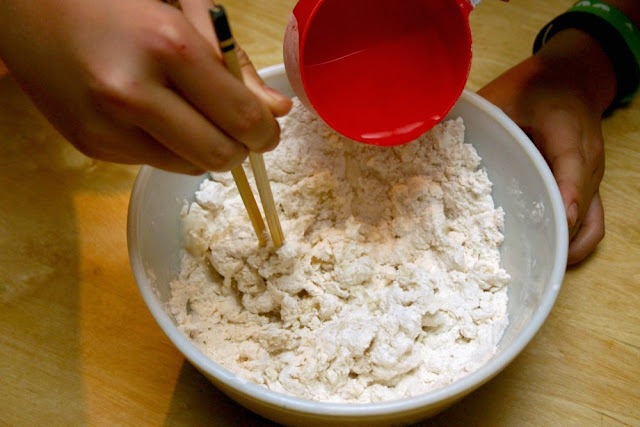 Add the hot water a little at a time while stirring with chopsticks to mix. 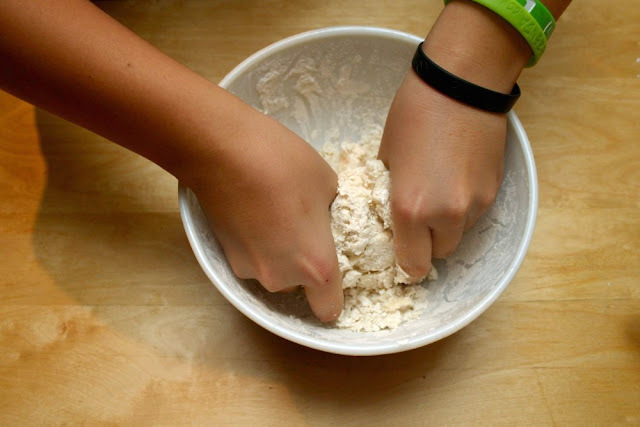 When the mixture has cooled slightly, knead the dough until it comes together. 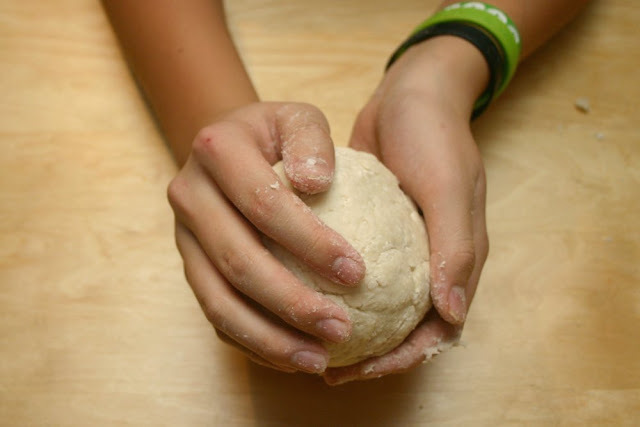 Continue kneading a few times them form into a ball. Cover with plastic and set aside for 30 minutes. 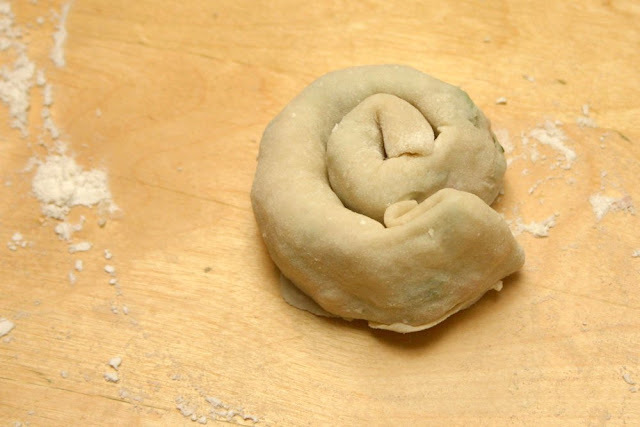 After 30 minutes, split the dough into 6 portions. 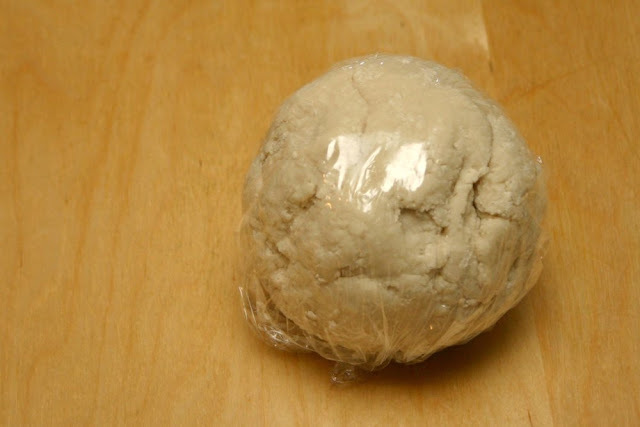 On a well floured surface, form the dough into a ball and roll it out to about 1/8" thickness. Brush generously with oil (or garlic oil in our case). 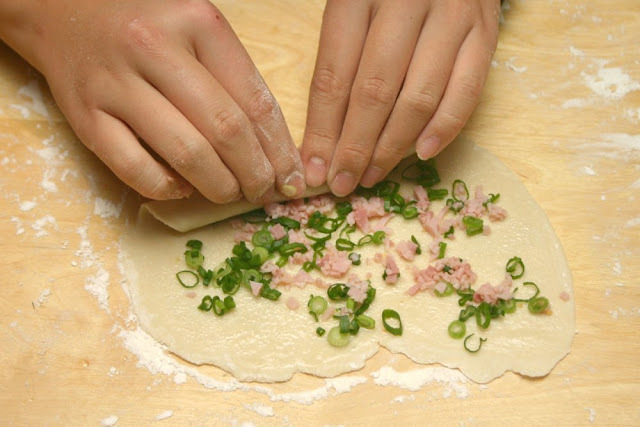 Sprinkle with the chopped scallions. You can also add ham if you wish. 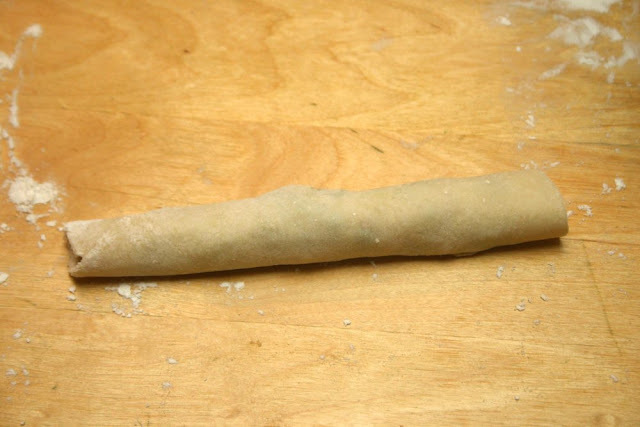 It should resemble a chubby cigar. 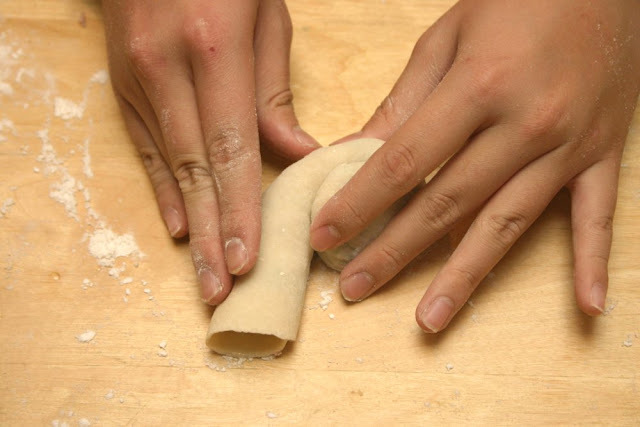 Starting from one end, roll it in a circular fashion. It should have a pinwheel shape. 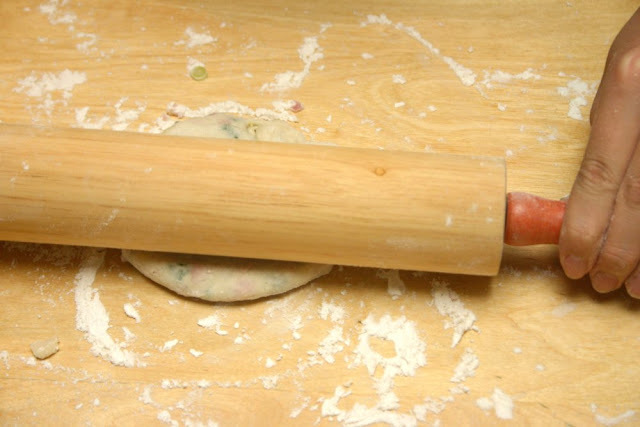 Flatten the dough with the rolling pin and roll it out again. 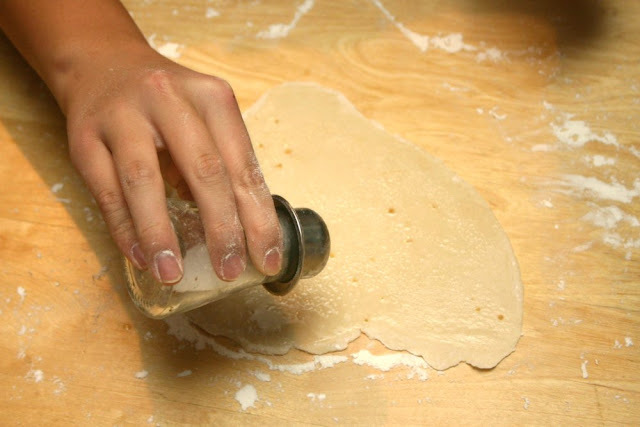 Make sure your surface is sufficiently floured, including the rolling pin. 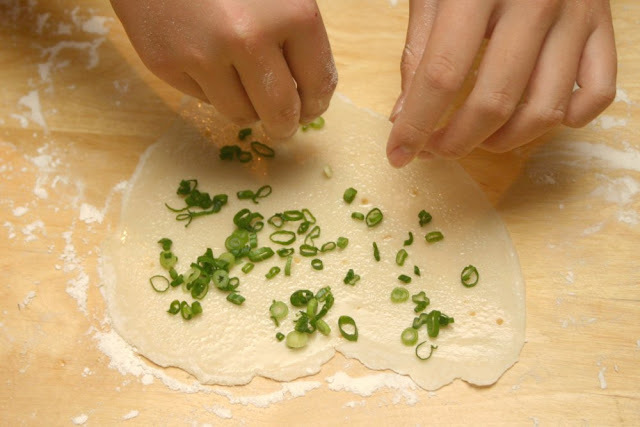 You can roll the pancake to your desired thickness. Generally, the thinner it is, the crispier; the thicker it is, the chewier. 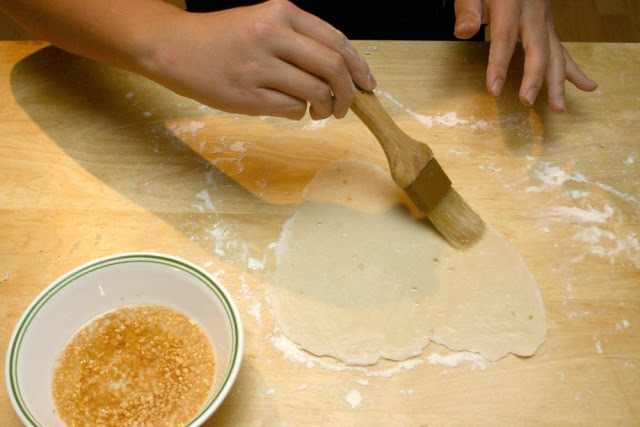 If you're making a big batch, you can freeze the uncooked pancakes for up to one week. 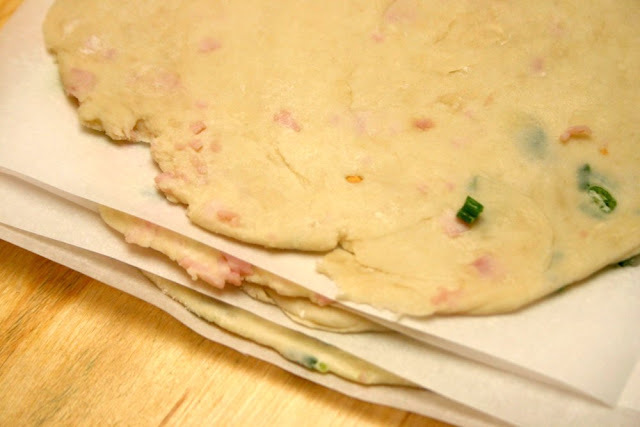 Make sure you separate them by placing parchment paper between the layers so they don't stick together then place in a freezer bag. on MEDIUM-LOW heat until browned on both sides. NOTE: After making these pancakes a few times, I've learned that it's important to cook the pancake slower on a lower heat setting so that the inner dough layers will get a chance to cook properly and separate, giving you tasty layers. 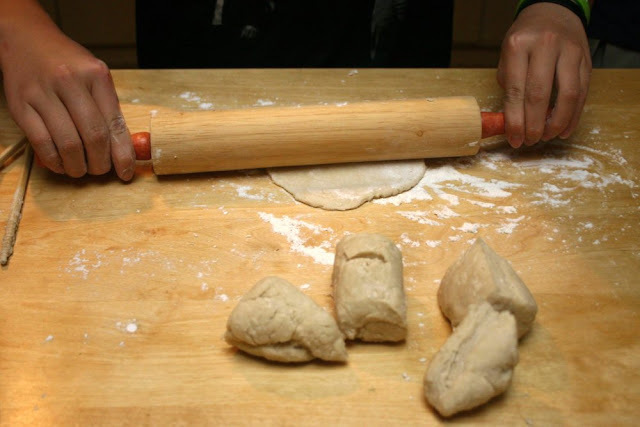 If you don't do this, you'll get a browned exterior and a semi-cooked dough-y interior and you don't want that. 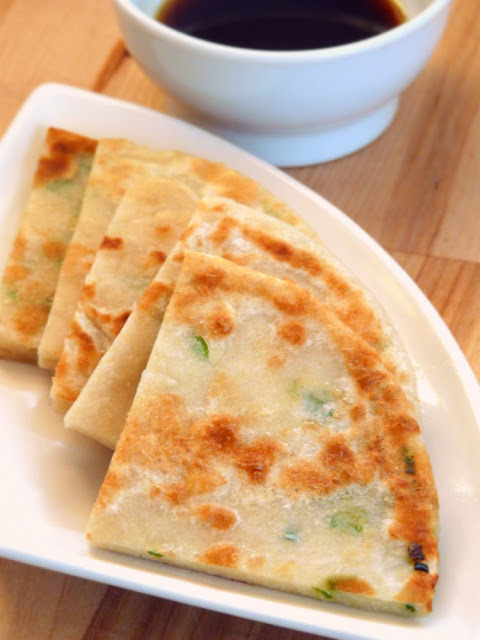 Serve immediately while still hot and crispy! Yum!